We take a break from looking at things that make your life harder, to take a look at things that make your life easier this week. 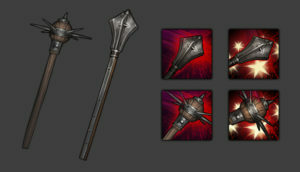 The upcoming ‘Beasts & Exploration’ DLC will add a bouquet of new weapons. Some of them will fill gaps in the progression of existing weapon types, while others are hybrid and niche weapons to create new builds and tactics with. And all of them will add more variety to human opponents, like brigands. Just keep in mind that details may still change depending on how playtesting goes. Let’s take a look! First off, several of the new weapons are designed to fill gaps in the tiered progression of individual weapon types. The Longsword is a lower tier version of the Greatsword, but no less versatile. 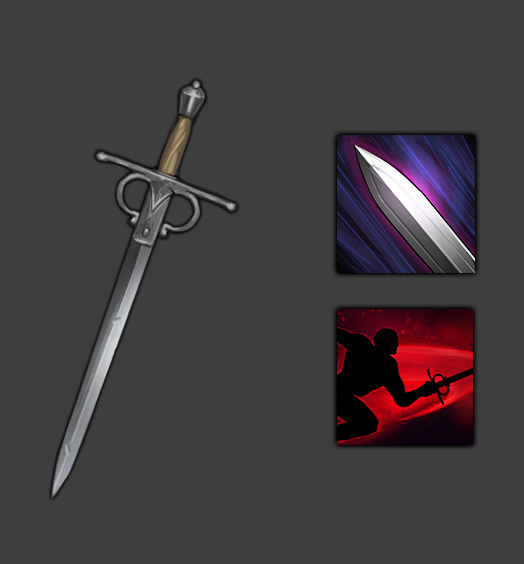 It allows us to more gradually introduce two-handed swords with enemies, and it allows you to use a less costly alternative earlier in the game. Similarly, the Two-Handed Wooden Hammer is a lower tier version of the existing Two-Handed Hammer. 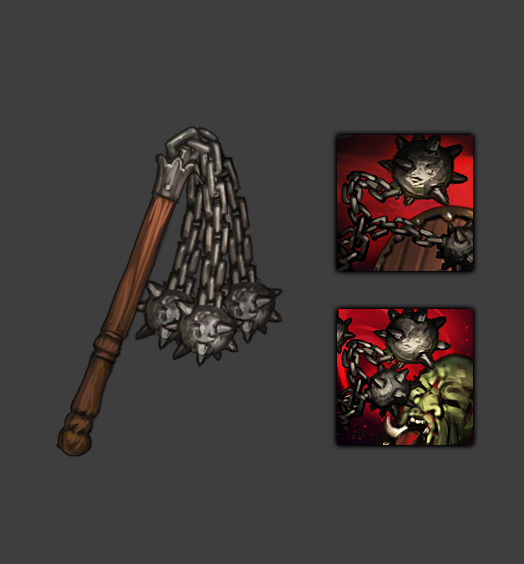 And while previously the Orc Berserker Chain was the only two-handed Flail in the game, there’s now two tiers of human two-handed Flails as well. Maces now come in massive two-handed variants. They excel in single-target damage and crowd control, and like their one-handed cousins, they apply a lot of additional fatigue damage. 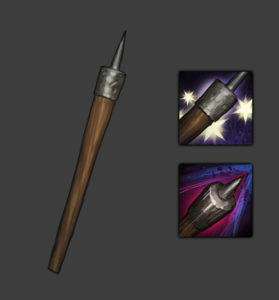 Receiving a blow from a weapon like this will leave anyone dazed and gasping for air, and this is reflected in the ‘Cudgel’ skill applying the new ‘Dazed’ effect. A dazed character will have their maximum fatigue, initiative and damage output reduced. 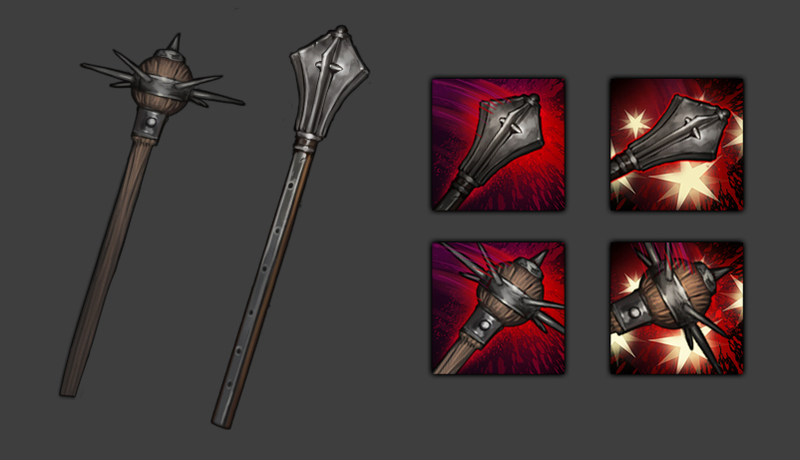 The other skill of two-handed maces is called ‘Strike Down’ and will stun a target for a whole 2 turns, instead of just 1 turn with one-handed maces. This also plays into a new perk which we’ll explain in another dev blog. 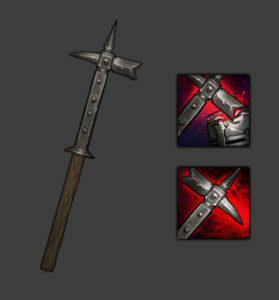 The new Polehammer is the polearm variant of the Warhammer, a weapon designed to neutralize heavily armored targets. With two tiles of range, a Polehammer can be used from behind the frontline, and outside the range of most other melee weapons, to batter, deform and rip enemy armor. Against unarmored or lightly armored targets, however, other polearms perform better. 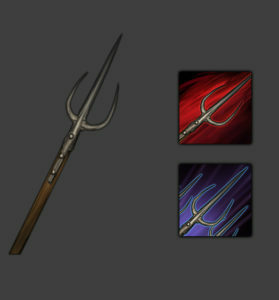 Even more defense-oriented than a pike, the two-handed Spetum is used like a cross between pike and spear in the game. It is a specialized polearm that is less damaging than the pike, but can be used to form a more deadly yet more fatiguing ‘Spearwall’ than with a one-handed spear. Particularly useful against beasts. Throwing weapons also get some love with the new Throwing Spear. Larger than a Javelin, it’s a consumable item similar to the Throwing Net and designed to take out shields from afar. A curious hybrid between club and spear, the Goedendag is a two-handed weapon that enjoys popularity with militia and similar non-professional outfits. It comes with the ‘Thrust’ skill of the spear, making it easy to hit with, as well as the ‘Knock Out’ skill of Maces, enabling the user to incapacitate their opponents. The Three-Headed Flail, also called Ochsenherde, is a less common weapon. It works the same as any other one-handed flail in the game, except for one detail: Every attack is split into three separate ones, one for each of the striking heads, and each head can hit or miss, and hit body or head, separately. That’s a good thing if you’re looking for consistent damage and a high chance to hit the enemy at all, for example to apply the Poisoned effect or because you’re fighting a fragile enemy with high defenses. On the other hand, this weapon will split damage between head and body armor even more so than other weapons, making it ill-suited if you’re looking to brute-force your way through enemy armor. Another uncommon weapon is the Fencing Sword; a light and elegant blade that favors a swift and mobile fighting style. It comes with a skill unique only to this weapon: ‘Lunge’. Using the ‘Lunge’ skill, the user will dash towards a target two tiles away, followed immediately by a precise thrusting attack to catch the target unprepared. 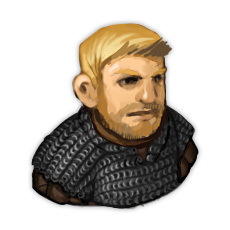 Lunge gets a damage bonus scaling with the user’s initiative; the quicker the user, and the less armor weighing them down, the more damage they do. With a fencing sword, a combatant gains a lot of mobility, dancing between enemies to make precise strikes if any opening should present itself. There’s even more new weapons coming, both legendary ones to be found by exploring the wilds, and craftable ones, but we don’t want to spoil these – you’ll just have to find them for yourself! Wow. Great to see new weapons, not only because you can use them, but also because the enemy can use them, and this adds more variety to fights. The skills are very interesting too. For me, one of the greatest moments of BB is when your archer kills one powerful brigand with a 2 handed weapon in one shot jeje. Well, that is more than expected! Really Hyped! Hope you you’ll be able to balance 2h spearwall thingie and AOE stun and a polehammer. The choice to add unstackable consumables is weird one.We need a way to stack nets for inventory-efficiency and auto-refill nets/spears after the battle. Or tie nets/spears to ammo and make 0 charges items don’t count as equipped for double grip check. A lot balance need i see ) It is good it give chance to fix present outbalanced things and mechanics.Positive. The most epic update of all time. 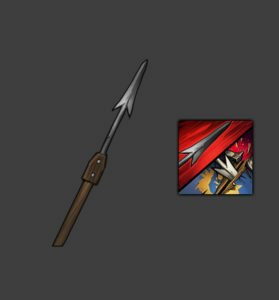 Wow, so many good and interesting weapons… I like a lot the throwing spear. awesome ! 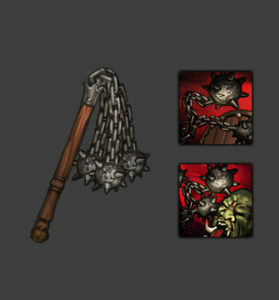 i also hope we’ll gonna have some legendary undead weapons too ! Looking forward to seeing some of these in action. Speaking of weapons I’d love to have a way to hotkey weapon swapping. I tried making some brothers with throwing weapons but having to go into their bag to change weapons every battle turned into too much of a bother. Really cool update. Love the Goedendag. We all know Rhodoks are the best anyway. Extremely excited. I knew buying this game was a good investment. I will literally donate 50-100$ if you somehow make the game Workshop compatible, but I know you can’t. In addition to my other list, here’s some more you might find interesting. Boomerang (longer range-returns if target missed-reduced damage), throwing knives (larger stack-reduced damage-lower fatigue cost), blowgun (perfect for goblin ambushers), scourge (low damage-gives bleeding status), brass knuckles (for new brawler/pugilist background), quarterstaff (think Daffy Duck – Guard! Turn! Parry! Dodge! Spin! Ha! Thrust! Sproing!). Perhaps during a seagoing mission, you have an opportunity to acquire some exotic weapons from a distant land: macuahuitl, katana, guandao, scimitar, katar. And dual wielding one-handed weapons would be awesome by the way! Your list look more like a list of comic-fantasy weapons rather than “realistic” low-fantasy armament. A child will use a blowgun or quaterstaff for his fantasies, but a man use a crossbow or a warbow for hunting and war. And you don’t bring brass knuckles to a bladed field fight! ^^ brass knuckles are for tavern bad boys. Why and what are they fleeing by the way? Is “riposte” a skill available for the fencing sword? Or does it get replaced by “lunge”?